Please confirm all events and details with the organisers before attending as the details shown here may be rendered inaccurate due to factors beyond their control . Contact details are Sean Cullen, email scullen.sc4@gmail.com, phone 07906077139. The Citroen Centenary will take place in the historic surroundings of Coombe Park in Warwickshire, CV3 2AB. On the Sunday everyone is invited to take part in a mass drive into the city of Coventry, the Centenary parade will become a major feature within MotoFest Coventry: www.coventrymotofest.com The entire eastern third of the city centre will be reserved for the exclusive use of the 1,000 Citroens forming our Centenary display. Extending from the frontage of the Transport Museum to fill the whole of the Cathedral and University precincts. June 2nd - The South Hants Vehicle Preservation Society will be holding their annual show/autojumble at the Queen Elizabeth Country Park. Vehicles must arrive before 09:30 and stay until 16:00 Free entry if exhibiting. Download entry form from www.shvps.org.uk and send it in by May 11th. 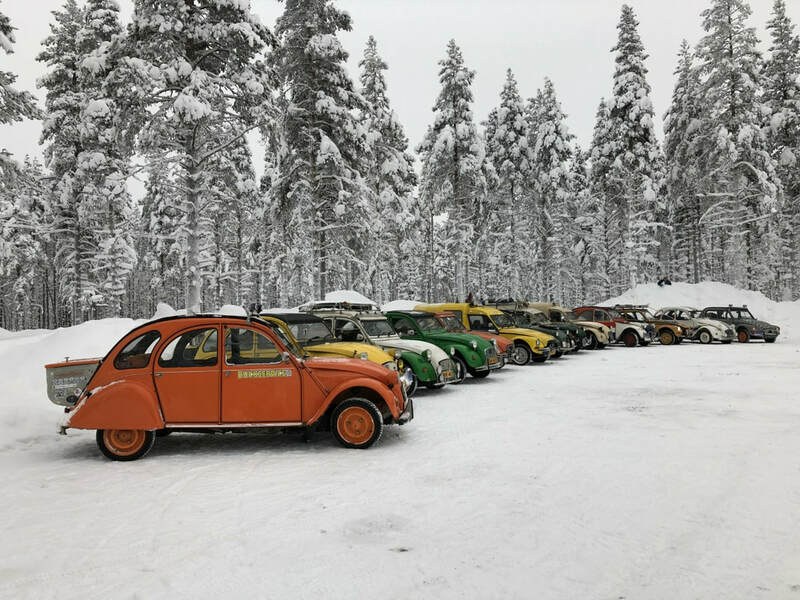 Hello everybody, after the great success of last year's raid to Murmansk, we are organizing 2 raids by 2CV or other A-types in January/February 2020 to the beauty of Lapland and the North Cape. The first of 2 routes (The Extreme) will have longer laps, a bit spartan accommodation, more adventure. 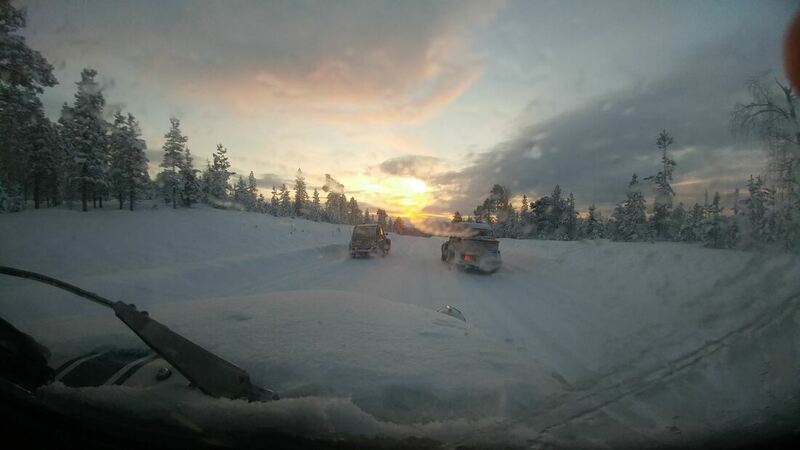 The route ends at the yearly market of Jokkmokk, capital of Lapland where we will meet the 2nd group. The 2nd route (“The Classic”) has good accommodation arranged every night and is a bit more relaxed. The route starts at the yearly market in Jokkmokk.